Exetel claims to be a family-owned Australian internet service provider which prides itself on low prices and a customer-focused approach. 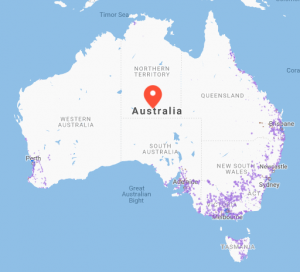 The company claims to be Australia’s largest independent ISP, with over 120,000 subscribers, and offers a full range of ADSL2+ and NBN internet plans, as well as SIM only, mobile broadband plans. At Canstar Blue, we’ve looked at all of Exetel’s broadband plans and seen how they compare to other providers, so you can determine which product is right for you. Exetel offers many broadband plans across, the NBN, ADSL2+, home wireless and mobile broadband. No lock-in NBN plans offer an optional $59 modem, which is included on 12-month plans. If you do add the modem, you’ll also need to pay $20 postage and handling. NBN plans are interesting ones, as you now have the choice of two different speed tiers on top of the other configurations. Speed tiers available include Standard Plus (NBN 50) and Premium (NBN 100). The cheapest possible plan you could get is $49.99 a month (100GB at Standard Plus speed), while the dearest would be $89.99 (unlimited data at NBN Premium speed). Keep in mind the modem fees should you wish for a shorter contract, plus any optional VoIP home phone calling packs you want to add on. The table below represents how NBN plans look without call packs attached. Below plans are month-to-month, and don’t included the cost of an optional modem ($79, including postage). What does Exetel broadband offer? Exetel offers both fibre and fixed wireless NBN. Its fibre plans encompass FTTP, HFC, FTTN, FTTB and FTTC technologies. As it stands Exetel’s NBN coverage is largely reliant on its rollout. NBN is due for completion in 2021, and right now many capital cities and major regional hubs are already covered. Exetel has an address checker on its website so you can check if you’re covered and what type of technology is due at your place. Exetel offers quite a few fringe benefits on its plans, and while there aren’t any entertainment options, for the internet aficionado, Exetel provides the goods. Static IP: This is free. Other providers may charge $10 extra here. Home Phone Calls: For $10 extra a month you can get unlimited local, national and mobile calls. Modems: Included on 12 month plans – just pay $20 shipping. This is a pre-configured Exetel ZTE modem, capable of gigabit line speeds. While there isn’t much in the way of fancy extras such as streaming or entertainment provisions, for those in the know, Exetel has some extra goodies that can make that plan sing. For $59.99 per month, Exetel dishes up unlimited Standard Plus NBN, which yields download speeds of up to 50Mbps. This plan could be good for multiple streams, gaming and more. If you need more out of your Exetel NBN plan, the telco offers Premium speeds for $89.99 per month. The Premium speed tier can have up to 100Mbps maximum download speeds. This plan would be suitable for larger households, multiple streams and more intense use – but only if your connection can handle it. Exetel offers a 250GB home wireless plan, both on a casual basis and on 24-month contracts. Both terms require the purchase of a pre-configured Huawei 4G modem, but this is included free on two-year plans; if you opt for a month-to-month plan, you’ll need to pay $185 upfront. Exetel has a comprehensive customer service system, with its website tracking calls and people in the queue for an in-depth look at how long it’ll take before you’re put onto a real human. The support hours are from 8.30am to 5.30pm Monday to Friday AEST. Technical support is open until 11pm AEST every day, while ordering a new service is open from 10am to 7pm on weekends, AEST. There is a self-service option, as well as an online portal through which you can monitor usage, change account settings and more. How Does Exetel compare to other providers? With every plan, it’s important to consider not only the monthly plan fee, but any setup fees and other sneakies that can make the first month quite prohibitive. Most providers offer some incentives to sign up for 12 months, either via waiving setup fees or providing other discounts. Keep on the lookout for these fees and contracts and you can be well on your way to finding the perfect plan for you. Is an Exetel broadband plan good value for money? That depends on what type of connection you’re after – Exetel really stands out among the crowd for its cheap NBN plans. Frequently, they are among the cheapest with only a handful of other NBN providers being able to compete. Coupled with cheap setup costs and modem fees, Exetel is very straightforward. Exetel offers a comprehensive range of fixed home broadband to suit all households, as well as wireless mobile internet for when you’re out and about, or just needing a quick and easy home internet connection. With impressive value propositions across all segments, Exetel’s reputation for low prices and good customer satisfaction seems to be well-deserved. To find out more about Exetel and other broadband providers, check out our Canstar Blue star ratings for customer satisfaction.